Emmy fashion was a little underwhelming last night. I was a little disappointed with the fashion. Not much color and a lot of the dresses looked like stuff we have seen before. I need some people to change it up. I did find a couple that I did like so check them out in the gallery below. THE EMMYS ARE HERE!!!!! I love love love the Emmys. It celebrates my #1 love – television. 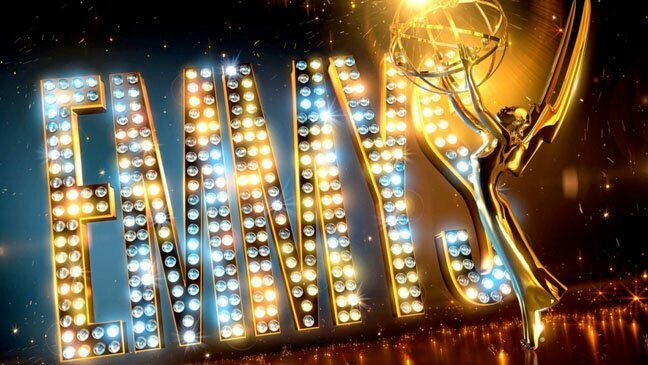 The 65th annual primetime Emmy awards go live this Sunday, September 22 at 8/5pst. This year CBS will air the award show hosted by How I Met Your Mother’s Neil Patrick Harris. This year’s show will look more and more like the Academy Awards with musical numbers from Harris and Dance Chreography nominees that include a plethora of So You Think You Can Dance talent. There will also be a special in memoriam which will spotlight 5 people that have passed including Sopranos star, James Gandolfini and Glee’s Cory Monteith. Before the show be sure to catch E! Red Carpet coverage with Guiliana Rancic and Ryan Seacrest beginning at 6/3pst. Fall première dates are coming up and there are too many things to watch. No worries. It was extremely difficult but I have narrowed it down to the 5 shows that you must watch. 1. Brooklyn Nine-Nine (FOX) Premieres Tuesday, September 17 @8:30/7:30c. I have a thing for André Braugher (Men Of A Certain Age, Gideon’s Crossing). I think he’s absolutely wonderful. So when I saw that this show got picked up by Fox, I was excited. The show is a comedy about is about how members of a Brooklyn squad deal with a new very straight-laced and tightly wound police chief played by Braugher. The comedy for most of the show comes from the interplay between Braugher and the squad’s lead cop, played by Andy Samberg (Saturday Night Live), who just can’t seem to adjust. This show looks hilarious and I have read nothing but good things about it. Samberg had many great moments on SNL so he will bring the funny. I just really want them to let Braugher be great. I need him to be on a show that people give a chance. Hopefully this one is it. 2. The Michael J Fox Show (NBC) Premieres Thursday, September 26 @9/8c. Michael J. Fox hasn’t been the star of a show since he left Spin City in 2000 because of his Parkinson’s disease. He has done a lot of guest stints on different shows since then; my favorite being his arcs on The Good Wife. It’s nice that now he is returning to television full-time and in something that is really good at, comedy. The new show emulates the actor’s life a bit in that it is about a news anchor at the top of his game who decided to leave his job to spend more time with his family. After being at home for 5 years, his family is ready for him to leave the house and return to work. The cast also includes Betsy Brandt (Breaking Bad) and Wendell Pierce (The Wire, Treme, Suits). I saw part of this pilot in one of my classes last semester and I really liked it so I can’t wait to see the finished product. This has been nothing but amazing this year. Last night’s episode was… I don’t even have the words still for what last night’s episode was. I felt completely drained at the end and there are still 2 episodes left. If you have not checked out this show before (what are you waiting for) catch up on Netflix as all 5 seasons are on it. SNL Adds Cecily Strong as Weekend Update Co- Anchor; Seth Meyers to Stick Around All Season? I liked Cecily Strong last season. In the little she was given, she was pretty funny at it. I doubt they let her go solo though. I’m sure Seth Meyers is going no where. The Girl You Wish You Hadn’t Started a Conversation With at a Party will now be driving the pop culture conversation, as a co-anchor of Saturday Night Live‘s Weekend Update segment. SNL boss Lorne Michaels tells the New York Times that starting with the late-night sketch show’s Season 39 premiere (airing Sept. 28), sophomore cast member Cecily Strong will sit alongside veteran news reader Seth Meyers at the WU desk, mocking headlines. The music on Nashville is one of the best parts of that show. I actually both the music that was on every single episode. Soooo good. I love that the show has turned a lot of people on to country music. If youuuu didn’t know better, you probably wouldn’t realize there’s a new maestro behind the music of Nashville‘s second season (bowing Sept. 25 at 10/9c). And that’s just how the ABC drama’s recently promoted executive music producer Buddy Miller wants it. Miller, a Grammy-winning record producer and songwriter, has been involved with the country-music series from its inception — he even presided over Claire Bowen and Sam Palladio’s first crack at Scarlett and Gunnar’s inaugural duet. So when music-biz legend T Bone Burnett decided to step down after the Season 1 finale, Miller had an easy transition to his new role. I am so excited about this. First of all Saul is a great character. Second, since it will be a prequel this means that we will see all the clients that Gus deals with including Gustavo (Gus) Fring played by the wonderfully talented and handsome Giancarlo Esposito. Good job AMC. Want to keep a fan-favorite character going after the show on which he appeared comes to a close? On Wednesday, AMC and Sony Pictures Television — the parties behind Breaking Bad — reached an agreement to create a BB prequel centering on Walter White’s shady lawyer Saul Goodman. The project, which has been rumored for months, will bypass the traditional pilot process and go straight to series. The network announced that the one-hour spin-off “will focus on the evolution” of the morally-challenged counselor before he became Heisenberg’s defender.